H1-B filing season begins April 1. What can one expect this year? More RFEs and rejections? Fewer filings? Will H4 EAD holders take the H1-B route? Here’s what Immigration lawyers say. It’s that time of the year again. 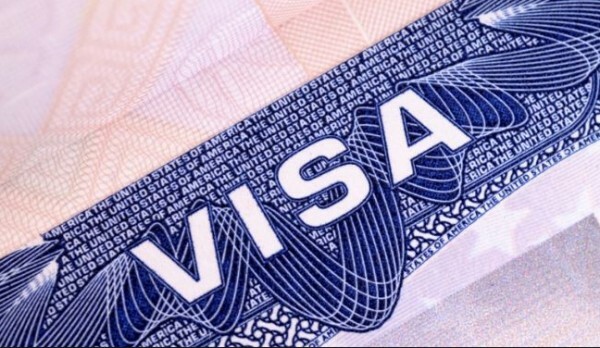 Starting April 1, 2019, the United States Citizenship and Immigration Services (USCIS) would start accepting new H1-B visa petitions for fiscal year 2020. The employment start date for these visas would be October 1, 2019. Like previous years, the regular visa cap limit for H-1B this year remains 65,000. Additionally, another 20,000 petitioners, who possess a master’s, or a higher degree from a US university, will also get H-1B visas. But, according to many lawyers, this year may be extraordinary for H-1B aspirants — mostly because of the continued scrutiny as well as some subtle rule changes announced earlier this year. In January, the USCIS introduced a change in the order in which allocations would be counted. The agency will now put all the petitions including the ones with advanced degree in the regular cap. In the second round, it will select the remaining petitions. The new order is expected to increase chances of petitioners with a US master’s degree. According to USCIS, the new change would result in an estimated 16 percent rise, or an increase of 5,340 workers, in the selected H1-B petitioners with an advanced US degree. This apart, an apparent increase in “Requests for Evidence” (RFEs) and resultant rejections in the past fiscal year and the looming fear of H4 EAD revocation would also have an effect on this years’ H1-B lottery. Florida based paralegal Vishal Ghadia, who works with immigration attorneys through his Legal Process Outsourcing company, says, “In the last 6 years USCIS has received enough H1-B applications to fill the 85,000 Cap within the first 5 working days of the month of April. This time, too, we can expect the cap to reach within 5 days and the number of H1-B applications similar to last few years.” According to Ghadia, there are a number of reasons why the cap is likely to be reached pretty soon this year, even though H-1B has been in news for all the wrong reasons. One of them is the red-hot economy, especially in the tech sector. “Employers have hard time finding employees in the technology sector and other specialty occupations which would lead to more H1-B applicants,” Ghadia says. Paralegal Ghadia says, “Another important factor could be the removal of H-4 EAD this year. All eligible H4 EAD holders and their employers will try to convert to H-1B visa to continue their employment. Ghadia says that one can expect more scrutiny and hence RFEs for Level-1 wage applications. Murthy agrees that other countries would benefit from America’s immigration policies. “Our loss in America will be the gain of other countries like Canada and Australia where they are welcoming high tech skilled professionals with open arms,” she says. Amongst an intensely speculative year of H1-B filing, Ghadia hopes that premium processing will continue. “Hopefully the premium processing for all H-1B applications will continue and applicants can make quick decisions based on approval or denial,” he says. THERE IS NO SHORTAGE OF SKILLED WORKERS IN AMERICA. Yes, there is a shortage of slaves and coolies who will code for $5 an hour. Trump admin is doing all the right things enacting on policies set forth by Steve Miller, Steve Bannon and others. End the H1B, L1, OPT, EAD visa nonsense once and for all. No need to import cheap third world labor into our country. This article is pure rubbish, and entirely fictional junk being pushed by the tech lobby that wants the entire US workforce to be replaced by foreign nationals. THERE IS NO SHORTAGE OF SKILLED WORKERS IN AMERICA. Yes, there is a shortage of slaves and coolies who will code for $5 an hour. Trump admin is doing all the right things enacting on policies set forth by Steve Miller, Steve Bannon and others. End the H1B, L1, OPT, EAD visa nonsense once and for all. No need to import cheap third world labor into our country.